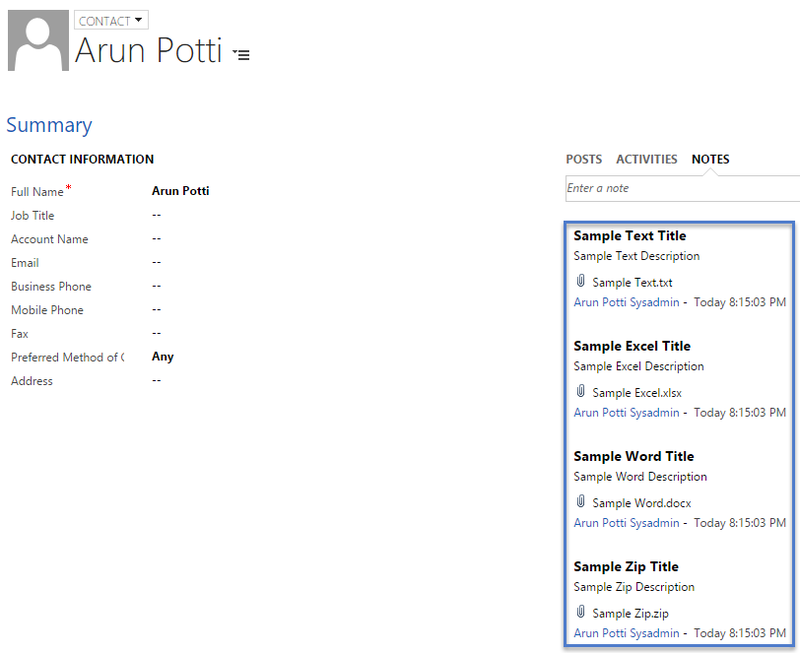 Step 1: Created one Sample Contact record with fullname “Arun Potti”. Click here to download Notes Template. Step 3: Create one folder with Name “Attachments” and place all files to Import. Click here to download Attachments.zip. Step 5: Import Attachments.zip using Data Import.